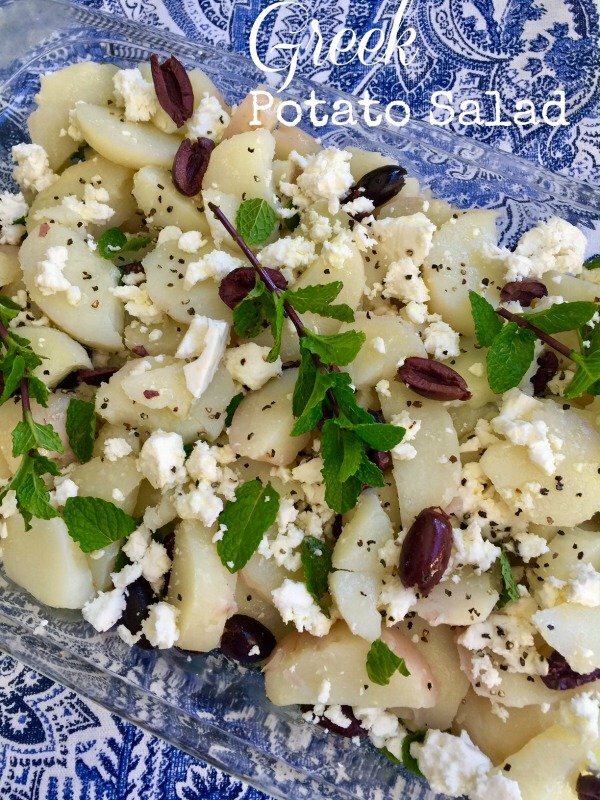 Let me give you my favorite go-to salad, Greek Potato Salad. Every summer my mint grows profusely in my garden. I decided one year I would add mint to everything I created! When I served this dish everyone liked the combination of this fragrant herb with the potatoes, so I filed the recipe in my summer file. I hope it becomes one of your favorite go-to recipes. This dish can be taken outside to a BBQ or gathering and served at room temperature. Here is my favorite summer salad using fresh mint and feta. With only 5 ingredients you can have a summer showstopper at your next event! 1.Place unpeeled red potatoes in a large pot. 2. Fill the pot with cold water and place on medium-high to boil. Reduce to a medium simmer. 3. Boil for 35-40 minutes until fork-tender (not knife) and remove from pot and let cool slightly. 4. 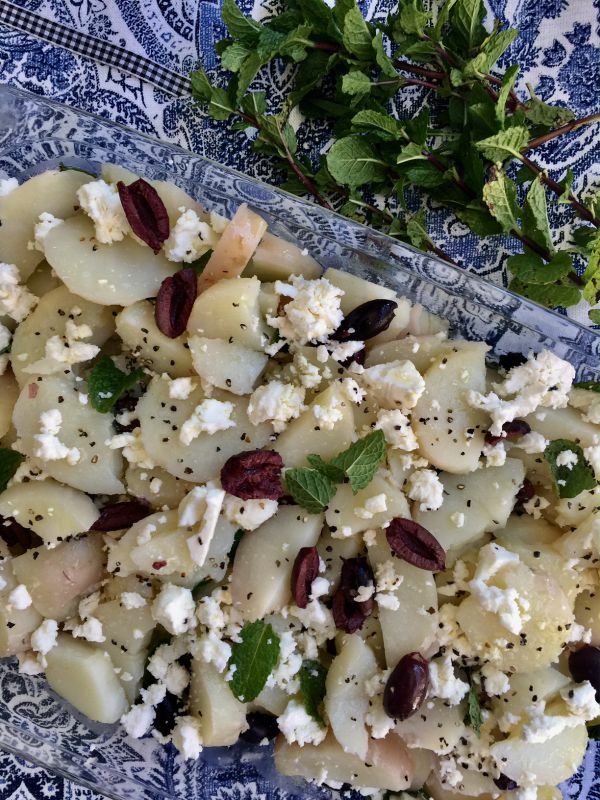 Note: I like to layer my potatoes and add 1/3 of the mint, feta, salt and pepper and evoo to each layer so everyone gets a bite. The rest goes on top! 5. Peel and slice into ¼ inch pieces and place in large serving platter. 6. While still warm, layer with olive oil, mint, feta, olives and salt and pepper. 7. Drizzle more olive oil on top to taste if needed.